The Robotic Ball Sphero we featured here on Geeky gadgets back in January and April when it landed $5 million in investment earlier this year for development is now edging closer to a launch. 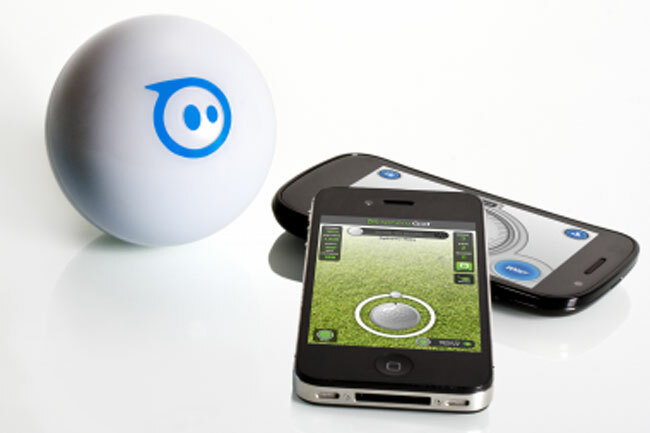 The Robotic Ball Sphero that can be controlled by either an iPhone or Android device has been revealed in a new finish. Having lost its clear skin it now sports a white finish complete with logo. But not only does the Robotic Ball Sphero have a new look, a few nifty features have also now been added including the ability for it to recharge itself using an inductive charger. When the Robotic Ball Sphero arrives in December this year its expected to retail for around $130 and will be available together with a few applications to keep you busy.